The XT90 is a popular battery connectors commonly used in Electric Vehicle battery backs and other RC or Drone applications. The XT90-S version comes with an in-built load resistor to avoid sparks that generally occur when connecting battery terminals. 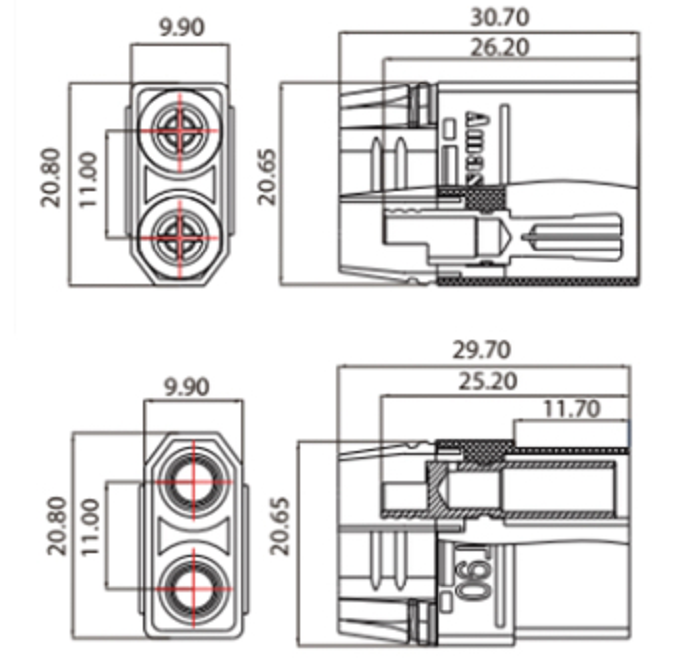 The XT90 Connectors are built for high current (upto 90A), high temperature applications like EV battery pack, RC cars, Drones etc where high current is involved. 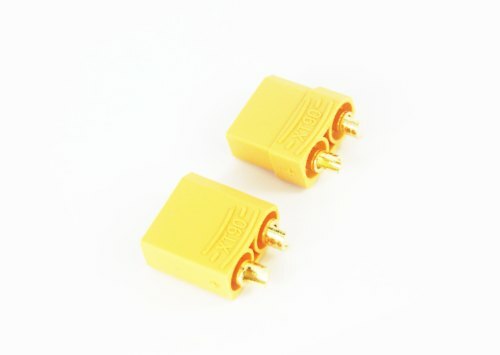 The gold plated spring connectors are injected molded into a nylon casing making the construction very robust. This enables the connector to be plugged and un-plugged often without damaging the terminals. 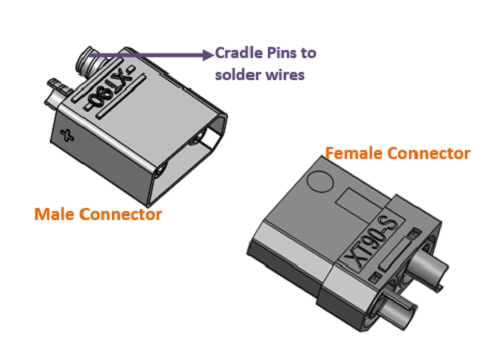 Both the Male and the Female connector have Positive and Negative markings on them. The Female connector is normally connected to the battery terminals so prevent accidental short circuits. To solder a XT-90 connector we have to make use of the cradle pins which are the half cylindrical pins provided for soldering. This half cylindrical shape helps us pour solder easily and make a strong mechanical linkage. Heat the cradle pins and pour some solder into it, then tin the battery terminal wire which has to be connected and then bring it in contact with the cradle pin and heat them together to fuse them. Once the solder is done cover it with a heat shrink tube or boot cover. Caution: The XT-90S connectors have two stages in connecting that is you will find two clicks when connecting the connectors together. Make sure to push the connectors all the way in to make a secure connection else the connectors will get damaged soon due to heating up.